WASHINGTON, D.C. — This Tax Day, as millions of Americans file their taxes, it could not be more clear that the tax code has been rigged against the many to benefit the wealthy few. 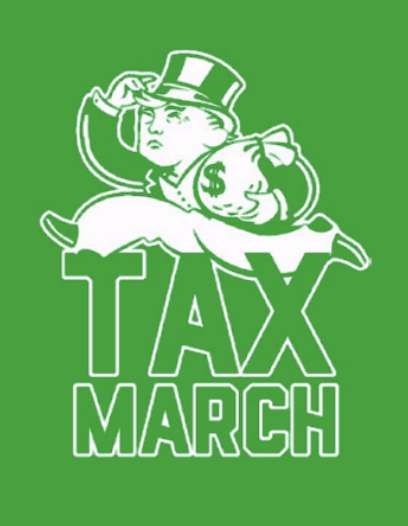 Recent polling released by Tax March shows the American people want to repeal the GOP tax law in favor of policies that ensure the wealthiest individuals and largest corporations pay their fair share. “Despite Republicans’ false promises, the American people are now seeing firsthand how the GOP’s tax law was written to benefit the wealthiest individuals and the largest corporations at the expense of working people. As millions of people file their taxes, Republicans’ corruption and greed is on full display. “While Republicans in Congress and the White House continue to attack the middle class and attempt to further rig the economy, the American people will continue to hold the GOP accountable for putting profits over people and for handing the rich trillions in tax cuts. The country’s largest corporations, from big pharmaceutical companies to the banks responsible for the Great Recession, were handed billions in tax savings. Workers across the country face mass layoffs after Trump and Republican lawmakers cut taxes for the largest corporations. Stock buybacks have reached record highs, as companies use their tax savings to enrich corporate executives and wealthy investors. The American people see this tax law for what it is: a scam. A vast majority of Americans know that Republicans rigged the tax code to benefit the wealthy. Check this to allow us to engage with you on Facebook. By submitting this form, you acknowledge that you are opting in to email and SMS updates (message and data rates may apply).